I don't mind the test so much, except it does take a little time to recover from it. After testing I need a good 10 minutes to regain balance as the tests really make me light-headed. The news is both good and bad. The bad news is that I have lost some lung capacity and function. The good news is that it isn't a large loss. I am still not in need of any Oxygen at this time. I do have to increase usage of my inhaler and use my nebulizer more often. She also says to get as much exercise as I can tolerate. I will take that any day over what could have been the outcome. All that being said, congratulations to everyone on whatever day of freedom from sickorettes you are celebrating. Every day of freedom is one step farther from Nicotine Addiction. You can, and are, making this journey to a new life without Nicotine. Take your journey in the way you need to. One minute, one hour, one day, or one week at a time. Whatever it take to make your journey a successful one. I know how it feels to come out of that torture chamber and wonder what they are going to tell you. I am on an oxygen concentrator at night and I am working out as many times a week as I can. I HAVE a nebulizer but I don't think I have used it more than twice in the past year. I DO use my rescue inhaler, sometimes it has to be every day but not on a regular basis. I am SO GLAD that you are here, Larry and so glad that the news was not really all that bad...good for you. Your one step and then another WORKS! I am happy to hear that you got good news Larry. It is nice to hear from you! Congrats on the good news! Glad to hear it. Congratulations, Larry! That really is some good news! Glad you quit, thanks for being here to encourage us "newbies" happy for you that you keep on keeping on! I think you are doing great, Larry. Good to hear from you. Thanks for showing up ALIVE! Hi Larry it is so nice to hear from our caravan master ! The test sounds awful but most medical tests are !!! I am glad you are doing well keep active and God bless you ! Congrats on your great Quit and thanks for all you did for me you sure made No mans land easier to pass through .........a great leader ! Happy to hear that added Oxygen is not in the forecast at present. 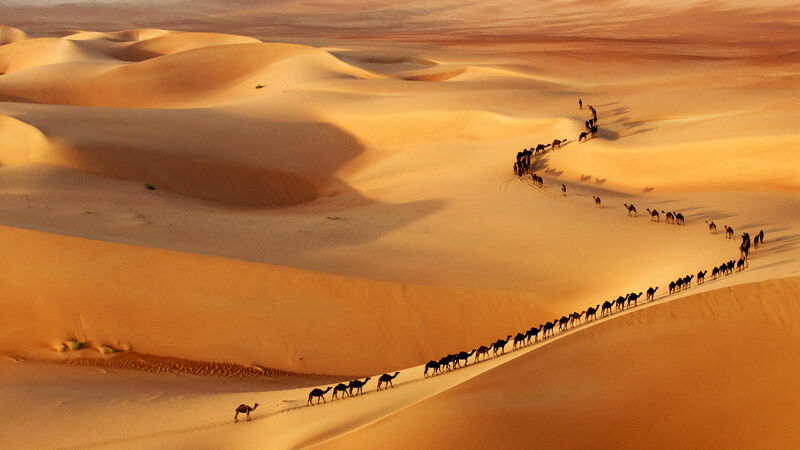 Makes the camel's burden lighter as you lead people to Freedom!